Australian actor best known for his role as Boges on the Australian TV Miniseries Conspiracy 365, a part that was rewritten for him after his impressive audition. He also appeared on the soap opera Neighbours from 2014 to 2015. 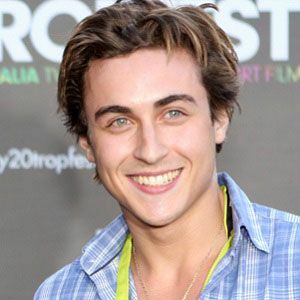 He attended Queensland University of Technology, studying business, but deferred to Film and Television International in West End where he studied acting full-time. In 2015, he played the role of Chris on Mako: Island of Secrets. In 2013, he joined the cast of the long running Australian Soap Opera Neighbors, which once starred Iron Man 3 villain Guy Pearce.